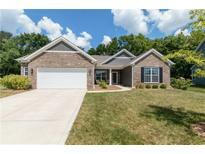 Below you can view all the homes for sale in the Harrison Crossing subdivision located in Greenwood Indiana. Listings in Harrison Crossing are updated daily from data we receive from the Indianapolis multiple listing service. To learn more about any of these homes or to receive custom notifications when a new property is listed for sale in Harrison Crossing, give us a call at 317-493-0959. Home is in Move-In Condition! A Must See! MLS#21610707. REALTY WORLD-Harbert Company. A partial basement with full bath rough in and egress window. MLS#21608356. 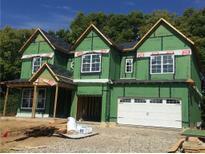 M/I Homes of Indiana, L.P..
Finishing the second floor are three more bedrooms, each with walk-in closets, another full bathroom with dual vanities, and the laundry room with a laundry tub rough-in. MLS#21598452. 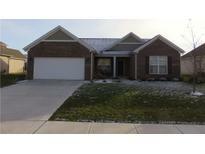 M/I Homes of Indiana, L.P..
We’Lower Level finish this home with a three car garage. MLS#21595254. M/I Homes of Indiana, L.P.. Partial basement with water softener, full bath & radon vent rough ins & egress window. MLS#21592386. M/I Homes of Indiana, L.P..
Owner’s suite :large walk-in closet, tray ceiling, and a shower spa bathroom (ceramic flooring, dual raised vanities, and a large, ceramic tile, walk-in shower with a rain style shower head) Other features include partial basement with 9ft ceilings, 10ft ceilings 1st floor, gas heat, water softener and laundry tub rough ins. MLS#21576913. M/I Homes of Indiana, L.P..